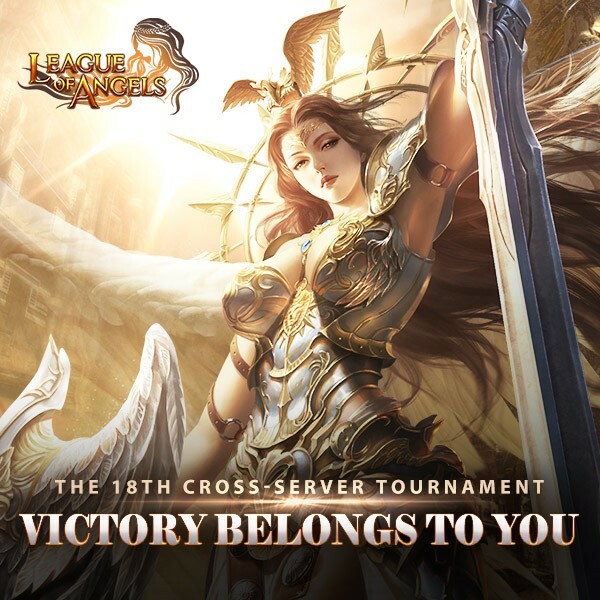 The 18th Cross-server Tournament Is Coming On Sep 27! Description: The 16th League of Angels Cross Server Tournament will start on Sep 27th. Elite warriors of each server will have a chance to compete with their counterparts from the same time zone for the championship in the 7-day tournament. The prizes include Victoriana\'s Icon, Lvl. 60 and 70 Mythic Equipment Print, special Flair, Prestige, Gold, etc. 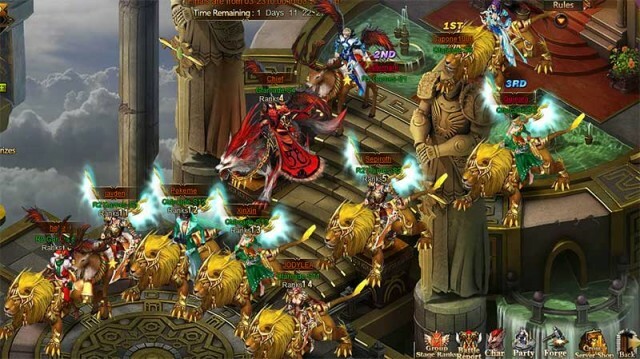 Cross Server Tournament Introduction Basic Gameplay of Cross-server tournament is composed of 3 stages: Group Stage, Tournament, and Prize Collection. 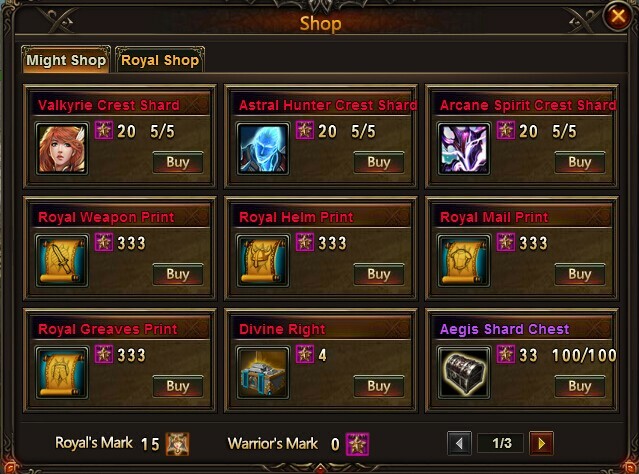 Group Stage prizes include Gold, Prestige, and Warrior\'s Marks (can be used to exchange for rare prints, Hero Shard, Chests and many other items in Might Shop). All tournament participants can collect a personal gift pack. The quality of the gift pack is determined by your final rank. 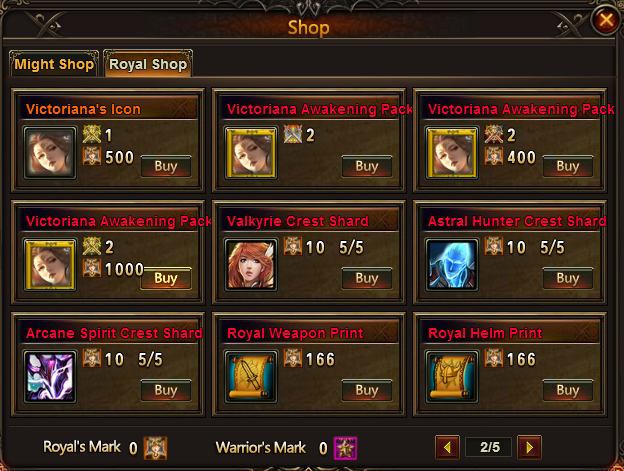 The prizes include Gold, Prestige, Royal\'s Marks (can be used to redeem special items in Royal Shop). does it look to you like team tournament ?!?! This is the second CST of this month! Looks like we won\'t ever see Team Tournament return, probably got rid of it because we all like it so much. last tournament I have qualify on 100s rank, after reset I have kick out by system update and no compensation. wonder if they fixed the ranking bug? 2019-4-23 00:49 GMT+8 , Processed in 0.066633 second(s), 52 queries .